When you simply must forgo the pleasure of living on thrift-store couches and mismatched hand-me-down chairs grouped around shelving that was put together with boards and big bricks—and yet you have not reached the point where John Saladino is putting together an ensemble of artfully mismatched designer pieces and obscure Etruscan weaves—you go to Cost Plus. With nice taste, great prices, and a showroom that’s also filled with unusual wines, crazy snacks, and Day of the Dead skull candles from Mexico, it’s a trip around the world. It’s the idea of a department store but for the other world that surrounds us—our electronic net: fancy phones from Apple and Samsung, computers, stereos, televisions, and all of the accompanying paraphernalia from wire connectors to video games. Technology is no longer the exclusive realm of engineers and hi-fi geeks; it’s the air that we breathe and communicate through. This place makes it even easier to negotiate. 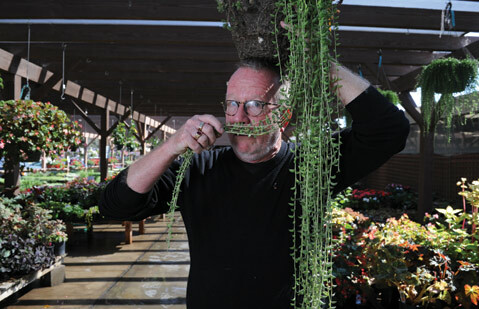 Alan Howard’s conglomerate of 20 vendors is what he often refers to as “great entertainment.” It’s nice to get lost looking at quaint dishes and jewelry, reading titles of old books, thumbing through boxes of postcards your mother might have written. Nowadays, antiques can easily refer to the 1960s, which doesn’t seem right to youth-obsessed boomers. On the other hand, it is cool to look at real troll dolls, Augie Doggie action figures, and novels like Stranger in a Strange Land that seem foreign nowadays but defined the era they survived. 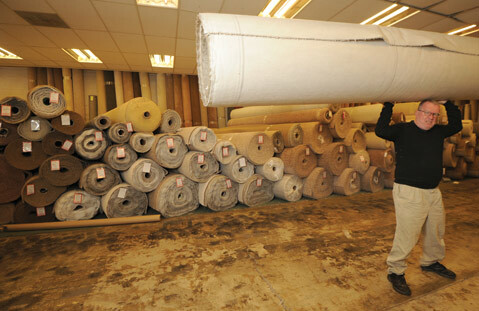 Since the 1970s, this family-owned franchise store has been a handy clearinghouse for the important bottom line in your home—the floor and what covers it: carpeting (naturally), hardwood and laminate, vinyl (what folks used to call linoleum and tile abound here), and handy people who can install the materials with a guaranteed beauty in some cases. Easy to find and abundantly stocked, Carpeteria has been flooring readers for years. This one is a bit of a puzzler even to the super-nice family that runs it. Around since 1969, the Kitson family business is now in the hands of daughter Sarah and her husband, Dave Fudurich. Everybody agrees that the clan couldn’t be nicer and the workers are excellent. So what’s the problem? The Kitsons do commercial accounts—there are no little suburban love nests or even McMansions getting the famed touch. But the family name is so well known, the readers give the Kitsons a green light for their thumbs year after year. Ace Handyman David Budlong with Maxwell. Flexibility is the watchword at Coleman’s, with a fleet of cleaners who specialize in very big jobs, from mansions to corporate HQs—which is not to say that they don’t work small. If anything, they prefer to be known as detail-oriented workers whose handiwork ensures lots of repeat business, and the readers do not reward those with spotty résumés. On Home Improvement Center’s website, owner Gary Simpson writes that the store has grown and changed with the times. (Simpson’s dad opened the big store in 1967; the son took over operations in 1983.) Maybe that’s true, but as very regular shoppers there will tell you, the best thing is how little the place has changed. You walk in and, assuming some familiarity, head right over to where what you want is, assuming you don’t run into a bunch of friends and neighbors on the way. If it’s not where you thought, an employee is always standing by who can direct you to it inside the store, order it for you, or let you know who in town is likely to carry that screen-door spline or recessed thumbscrew. If it has changed over the years, it just got subtly better.